Ready to make your next Chester County event unforgettable and successful? Magician Rick Dz has the perfect solution to make your next event successful. You might want him strolling around at a cocktail party, mingling with the guests and doing mini interactive shows right in front of their eyes for groups at at time. Or, you might prefer a stand up show where an entire group is entertained and participates during an unforgettable show. Or even if you need to stop a crowd and draw them into your booth, Joshua has a solution which will stop foot-traffic, capture an audience and generate leads into your booth. Chester County Magician, Joshua James will entertain your guests as he does his mind-blowing magic and mind-reading with a twist of comedy! Looking for top notch event entertainment? It's really simple. Rick Dz will make your next party, special event, or social event an stunning success, and provide you and your guests an experience unlike anything that they have ever seen before. Rick's been blowing audience's minds in Chester County with his prestidigitation for over 15 years, helping both companies and individuals look good by providing experience that be remembered for a lifetime. Having a magician perform at your home in Chester County is a truly unforgettable experience. Amazing effects will happen right in front of your eyes. This is a unique show that has to be seen to be believed. 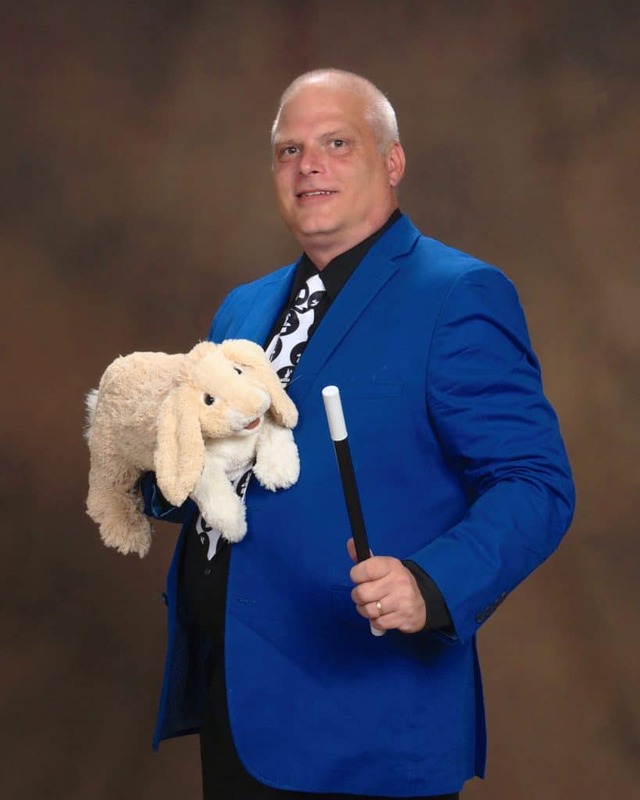 Rick has trained in the magic arts with some of the top magicians near Chester County PA and nationally, and is a magic teacher himself, instructing Chester County PA area youths in magic since 2005. Unlike many magicians in Chester County, Rick is not satisfied with classic tricks and the standard patter -- he's always seeking new illusions and effects that haven't been seen anywhere else. Hire Rick to demonstrate these miracles at your event in Chester County and you'll be the talk of the town! Rick DZ is known for entertaining audiences of all kinds, sizes, and tastes throughout Chester County County PA! Although Rick DZ specializes as a children's entertainer, he regularly appears at a broad range of events: trade shows, camps, day cares, senior centers, product launches, grand openings, schools, corporate shows, and much more. DZ Magic shows are ever the same, because they are designed to be unique theatrical experiences, customized for each audience. The magic show isis simultaneously interactive and magical. Rick's enthusiasm and charisma leave audiences buzzing with excitement and memories that will last a lifetime! For an easy and fun birthday party in Chester County PA, book a birthday party magic show from Rick DZ TODAY!